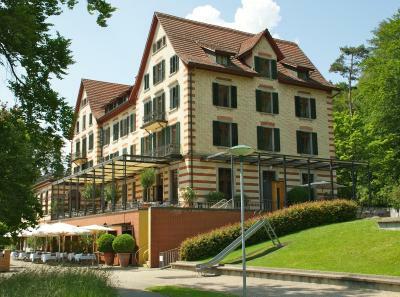 Lock in a great price for Sorell Hotel Zürichberg – rated 8.5 by recent guests! Great delicious breakfast options and offered eggs as made in USA for us Americans. The best yogurt ever! Very kind service throughout the stay! Loved the fondues at the chalet, too! Excellent service, too! Quiet location with a great view. 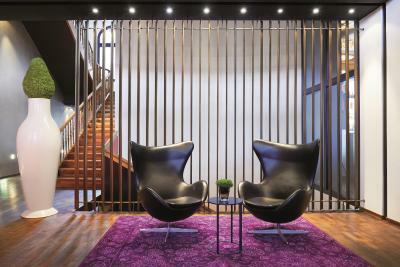 Easy access into the center of town. Spacious room. Excellent breakfast. Beautiful setting in the hills overlooking the city. Close to James Joyce and Paul Scherer grave sites that I wanted to see. Had a lovely 3 day stay here. Beautiful views and location great. Easy to get into the city, without actually being in it. Easy walking / jogging in the hills above, where public grilling places are also available. 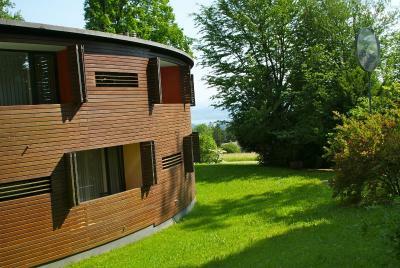 Good location, good view to Zurich city and lake, close to Zoo and FIFA headquarters. Rooms are clean and large enough, breakfast is good. Breakfast was very good and restaurant staff extremely accommodating. View was awesome. Very easy location to access using city's tram system. 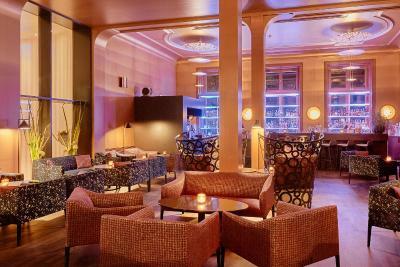 Sorell Hotel Zürichberg This rating is a reflection of how the property compares to the industry standard when it comes to price, facilities and services available. It's based on a self-evaluation by the property. Use this rating to help choose your stay! 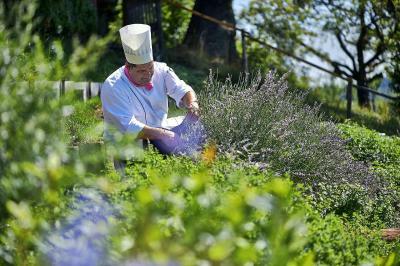 The restaurant & garden Zürichberg also offers panoramic views over the city and serves light and creative cuisine with a French touch. 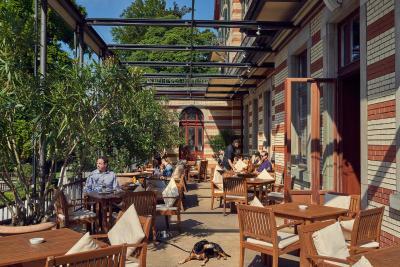 The bar & terrace Zürichberg serving small delicacies throughout the day, as well as coffee and pastries in the afternoons, is the ideal place to relax. 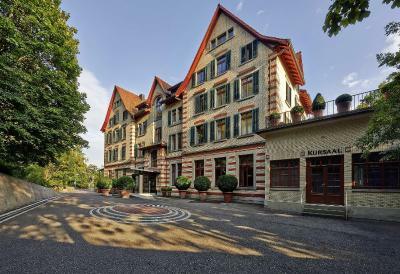 The next tram stop is just 650 feet away from the Sorell Hotel Zürichberg, providing for a quick connection to the main railway station and Zurich's city center. There is convenient parking in the hotel's underground garage. 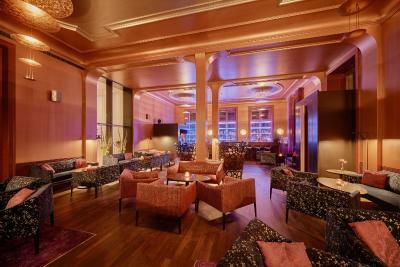 When would you like to stay at Sorell Hotel Zürichberg? Rooms facing the lake with a B&O TV and a Nespresso coffee maker. 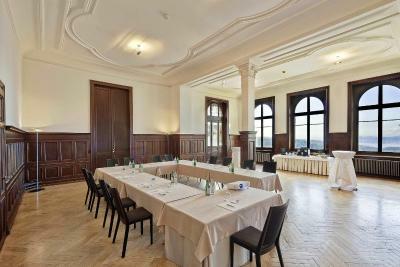 Spacious rooms on the higher floors overlooking the lake, the city and the mountains, fearing a large flat-screen TV or a B&O design TV, a DVD player, a hi-fi unit, and a Nespresso coffee maker. 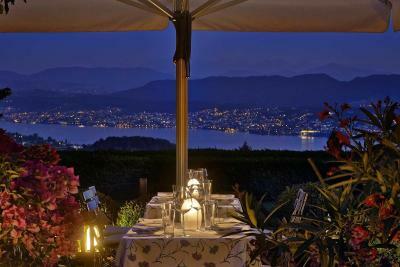 Exclusively furnished rooms overlooking the lake, with a B&O TV and a Nespresso coffee maker. Exclusively furnished rooms facing the forest, with a B&O TV and a Nespresso coffee maker. These rooms have a queen-size bed. Exclusively furnished rooms facing the forest, with a B&O TV and a Nespresso coffee maker. 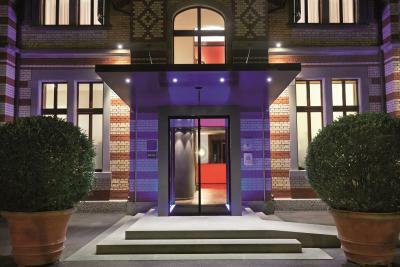 House Rules Sorell Hotel Zürichberg takes special requests – add in the next step! 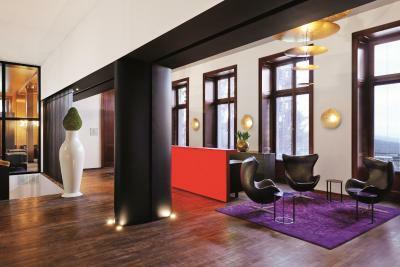 Sorell Hotel Zürichberg accepts these cards and reserves the right to temporarily hold an amount prior to arrival. 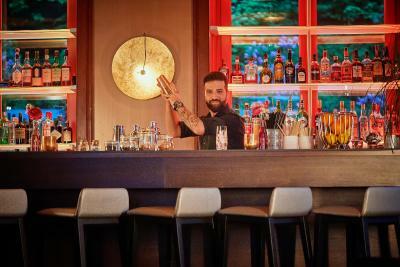 Staff at lobby bar, unfriendly and under staffed. 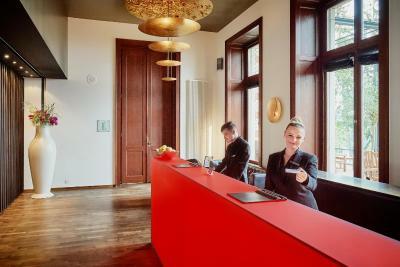 Location, room and front office staff. Due to the stuff gave us the invalid room card, we stuck at the evaluator few minutes. Room is like as same as home, everything was perfect. Great Room, best Mattress ever in a Hotel. Very clean and new furniture . Nice Ritual bathroom Selection. Liked the hand written note from the GM. 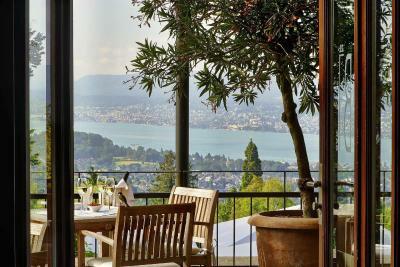 Breakfast has a stunning view over Lake Zurich and a perfect Cheese selection. Most rooms in the new round section of the hotel have somewhat blocked view. I ordered the "superior double room with Lake view" for Valentines and for my wife's birthday (3 nights), I specified that we would like a room on a high floor with an open view to the city and lake, but we got a ground floor room with an offside partly bloked view. 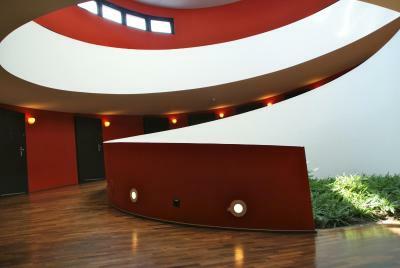 I informed the receptionist the next morning to our arrival and although he said he'll check it - no one came back to us. I've got to note that when I booked the room the hotel staff sent me a message to ask for my wife's birthday date so they'll prepare something special for her, I replied that message - but not only there was nothing special, the greeting card in the room was only addressed to me as if I booked a single room (to Mr. ****** instead of to Mr. & Mrs. ******). The hotel is in a nice quiet area on the edge of a park, it is clean and relaxed, has a nice view, good and fast wifi connection and a free underground parking lot for the guests. Third time I've stayed in the last couple of months and each time I am made to feel welcome and values by all the staff I cone into contact with. Great location outside of the city which is accessible via a 15 minute tram ride from a stop close by. Looking forward to my next stay. The views were spectacular, from our room and the terrace. Our room was spacious and comfortable. It's a perfect place to stay. Many thanks to all the Hotel staff. Breakfast could include some more options. We had a room overlooking the lake which was great at new year for fireworks. TV has to be larger and higher to view. Temperatures outside room and lobby area can be warmer. Our view of the lake from the room was blocked by too many high trees. Our room was a good size. The bathroom was clean and we loved the shower. Parking was easy and free. Limited hot food at breakfast - only various eggs available. 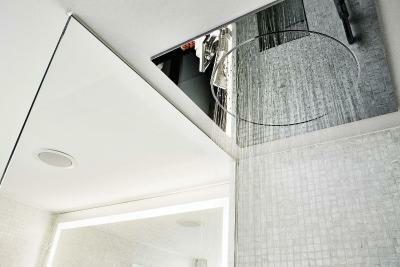 Very comfortable rooms with a well equipped bathroom. Bar was pleasant and relaxing. Apart from eggs cooked to order, no hot breakfast available. 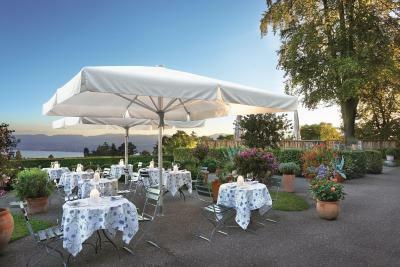 Location is a bit remote for Zurich centre (15 minute tram ride away down the hill). TV system annoying - English channels have English subtitles which cannot be removed.